Hard to believe it’s been over 12 weeks already! These three months have been an eternity to me. I had an orthodontist appointment yesterday and things are looking up. He rated my surgery results as a 10 on a scale of 1-10. He is just super pleased with how everything turned out. He mentioned another patient who had the same surgery, and it’s taking at least another 8 months of orthodontics to finish her mouth off. Whew! They all say how hard it is to get everything just so during surgery, and I again feel grateful for the good job my surgeon did. So the good news is he said maybe one more appointment! My next visit is just four weeks away! I could get my braces off in April!!! I’m so excited thinking about this. This visit he did tweak a few things, very minor. I have a rubber chain on my upper teeth now, to help close a tiny gap. So here’s what it’s like at three months. I can chew better each week. I have managed raw salads, pretzels, and corn chips this week. I’ll try most anything just to see if I can eat it. If not, just swallow anyway. Around 10 weeks I stopped bleeding when I blew my nose. Not sure why it took that long. Since surgery I have had some bleeding on a daily basis. I was starting to get a little worried about it, though had never asked the doctor anything. I never think about how I sleep anymore. I flop around with no regard for my jaws. Upper jaw is still numb. I never get any more tingling in that area.The doctor gives me at least three more months for the feeling to come back. It does feel weird, even after all this time. I will be ready to be rid of the stiff feeling the numbness gives entire middle of my face. It also gives me less control with my upper lip, which can cause (very minor) problems drinking. My rear jaw muscles are still tight, though I do some stretches every day. After getting stretched, they are sore. Every day. Seems like they would eventually loosen up. I am scared to stretch too far at this point; it feels like I could stretch my jaw right off if I open wide enough. It does make it difficult to clean around my wisdom teeth. I’m still wearing 2 bands at night in a triangle shape. I think a little area just beneath my nose is still slightly swollen. Not that anyone else could probably tell, though. This is the only area that is still a little tender. 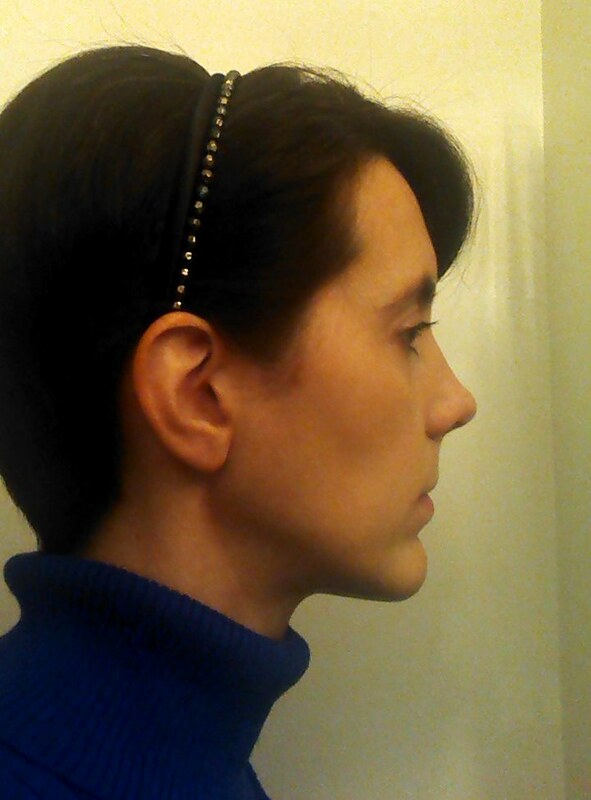 In reading other jaw surgery blogs, I realize that I have some things pretty good. I can do things at these early stages that some other people can’t do. For example I had good side to side motion early on. This really helps in chewing, as you can only do so much with up and down motion. Love hearing my surgeon and orthodontist and nurses all so happy with my results. It boosts my confidence levels about where I am right now. When my teeth fit together they feel so right together. Like this is the way they were meant to be. Make a fish face with my lips. Not that I have done this since a kid probably, but now puzzled over not being able to do it. Eat chewy steak. But I’ll get there. Whistle. Probably after I get my braces off I will be able to again. Always remember that my teeth work and USE them like I should. For example, I revert to the old way of biting, with just my tongue and top teeth. Here’s a picture from last Saturday, with an older sister. 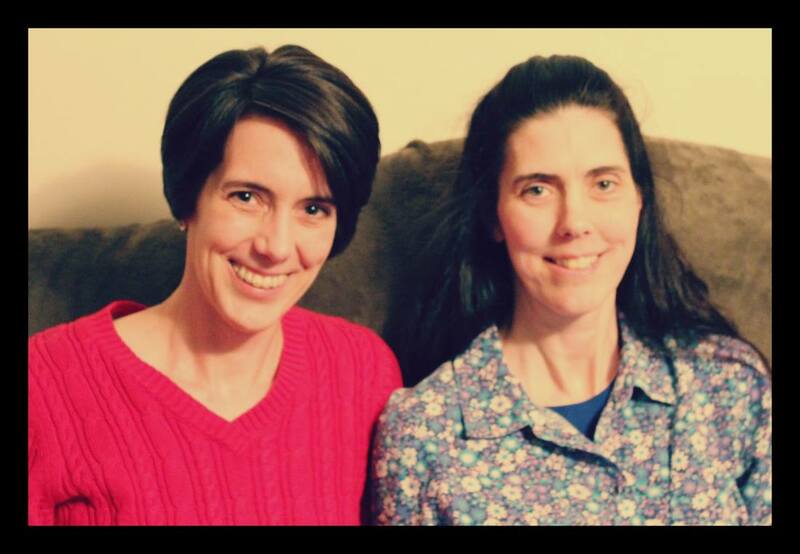 People always said we looked a lot alike over the years, and I was curious to see if the surgery changed that. I don’t think it made much difference either way. She was also told she could use a surgery, but her orthodontist was able to tweak her teeth enough to make them functional without one. Deb, glad the wisdom teeth removal went okay for you. April 1 will be here soon! It is a big journey but it’s doable! 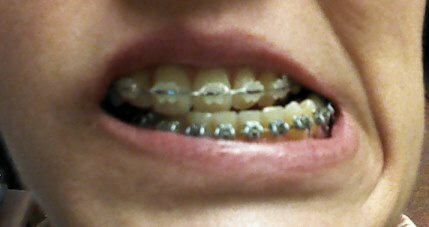 I am pretty much over all the extra care braces require, and will be super happy to have them off. If I knew for sure when that was, I’d be counting down the days! However it is quite manageable; after the initial adjustment and soreness, it’s just occasional sore times. I’ve enjoyed reading about your experience. You now have a great big happy smile. I can see in your eyes how happy you are and you look quite a bit younger than when you first got braces. I have 11 days until my surgery. I’m glad there are so many bloggers…helps with all the anxiety. Thanks. I’m glad this has been helpful. I know reading other’s blogs was so helpful for me to know what to expect. Good luck with your surgery!